The Text Relay service is available whenever you find yourself unable to speak on the phone or would prefer not to do so, 24 hours a day, 365 days of the year. Simply type your dialogue via your textphone’s keypad and wait for the recipient to reply. Fortunately the person you are contacting does not need to have a textphone for this service to work, as a relay assistant will be on hand to help you each step of the way. You will not be charged for this service as Text Relay conversations cost the same as any standard call. 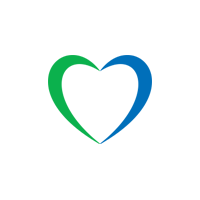 The Next Generation of Text Relay Service does everything its original predecessor did but comes with a range great new features and don’t require any new skills to use them. You can still use your current equipment and be automatically connected to the relay when you need it. Alongside the current 18002 prefixes, alternative ‘Text Numbers’ will now also be available. 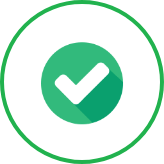 These are not compulsory and you are free to continue using the 18002 prefix in exactly the same way as you have before but may be more attractive to businesses, who have rarely made use of the older prefix. In order to boost the potential of our Next Generation Text service, we have gone beyond the conventional textphone and made this service compatible with a range of internet connected devices through the completely free-to-download Next Generation App. Without the need of a textphone, you can now access the service via your computer, laptop, tablet or smartphone. If the person you are calling is using a standard phone they will hear an automated message explaining that they are receiving a Text Relay call and that a relay assistant is currently connecting them. If on the other hand the recipient is using a Textphone, they will receive information regarding call progress whilst the call is established. During the call each person will type or speak in turn, completing a typed message with ‘GA’ or ‘ga’ to indicate to the relay assistant that they may ‘go ahead’. The relay assistant will then read the typed message to the other person, so try to allow sufficient time for the assistant to do this and for your recipient to reply. In order to finish your call, simply key in ‘BIBI SK SK’, or ‘bibi sk sk’, to represent ‘bye bye stop keying’. Upon answering your textphone it will display either ‘TXD CONNECTED TEXT TO TEXT’ if the person calling you is also using a textphone, or alternatively, ‘TXD CONNECTING TEXT RELAY’ if they are using a standard telephone. 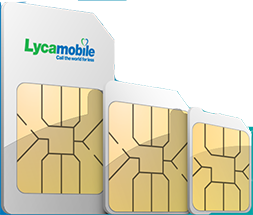 Standard Lycamobile call charges will be applied in accordance with the number you are dialling, with local and international rates applying as standard. Calls with the NGT Lite app however, use both voice call and an active internet connection and as such will require data when not connected to WiFi. Most textphones plug directly into your phone line and allow you to make and receive calls visually, by typing and reading the conversation on its display. As well as displaying the typed conversation, the screen on a textphone will also display information regarding the call itself and a full list of the Textphone display messages are also then available on the Text Relay website.